The models Red Rod and Red Fan, which appear in the test from bonedo, are not yet listed at the website, but available! Please contact me via email. 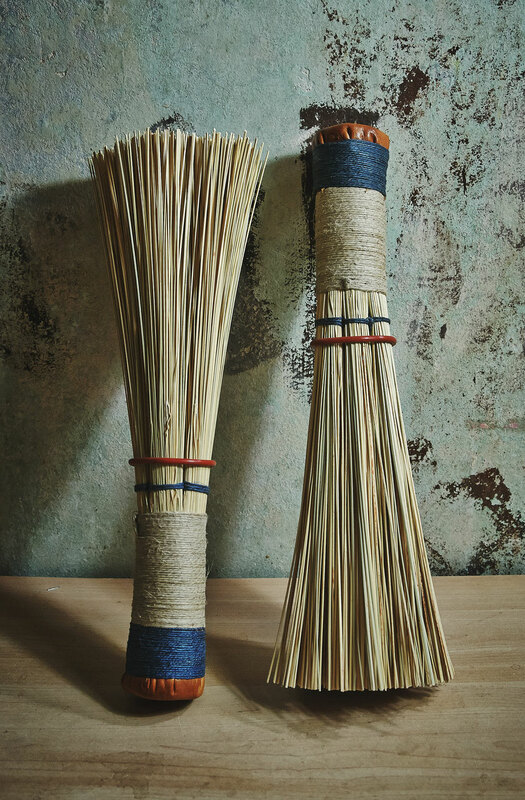 The handholds of all the brooms below are braided with strong flax yarn.They are slightly waxed with bees wax. The bottom is made from ecologically tanned leather. All fan-shaped models, except the Kuckhermann Signature, are deliverd with an O-Ring. Any special features will be considered on request. I designed these brooms together with David especially for his broom playing on Djembe. The balance point is slightly eccentric towards the fan which gives you ideal control and a comfortable playing feeling. Heavy bass and accentuated rimshots. Diameter of the handle is is between 3,5 and 4 cm. Standard version is 36 cm in length and 2,5 - 3,0 cm in diameter. 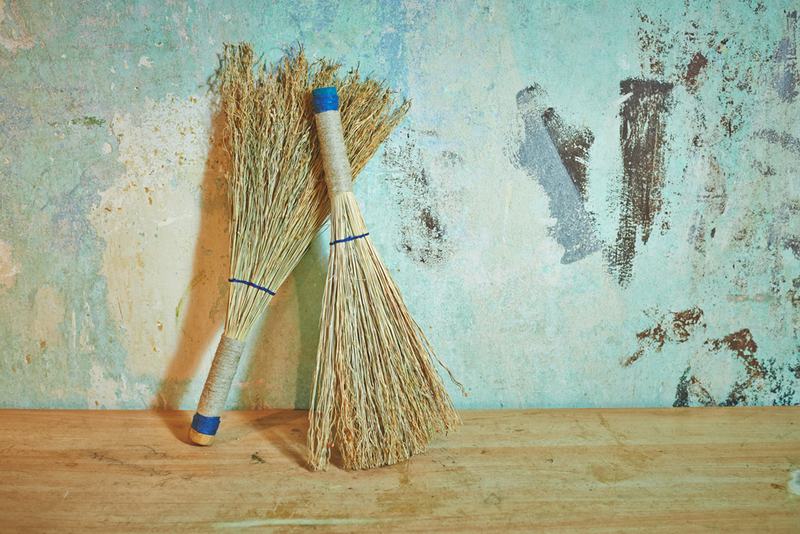 These brooms are all-round talents. 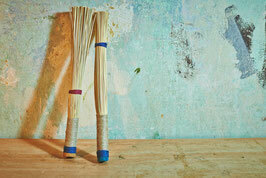 They work very well as Hot Rods on a Drums Set, but can also be played on Frame Drum and Cajon. The brooms come with an adjustable O-ring. 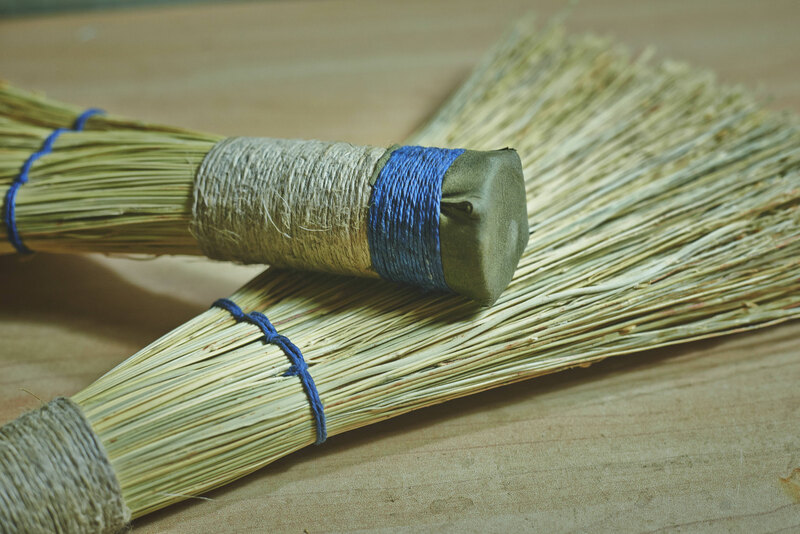 Moving the ring towards the top of the broom will close the fibres; now the broom can be used like a Drum Stick. 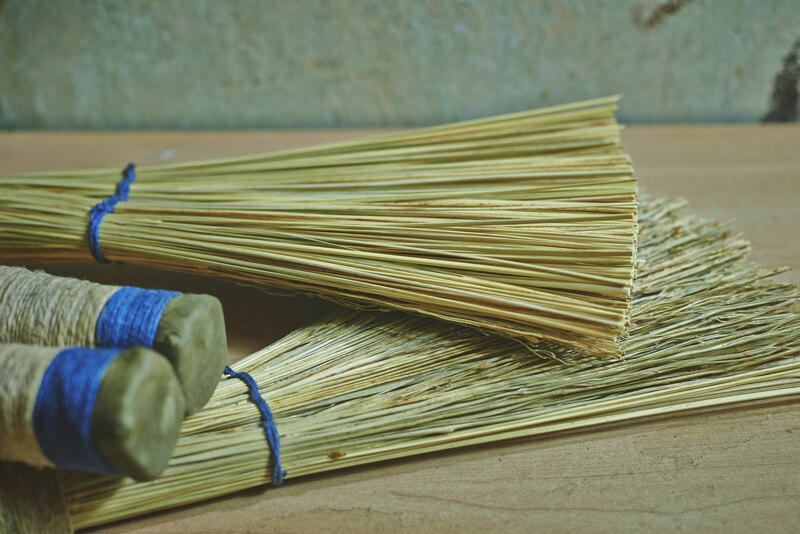 Opening the fibres by pulling the ring downwards, creates a softer stroke and the crispy sounds of the broom will become more hearable. The price is for 1 pair of brooms. Standard version is 36 cm in length and 2,5 - 3,0 cm in diameter. These broom work very well on Frame Drums, Cajon and Drum Set. They have a strong crispy sound. Standard version is 36 cm in length and 2,5 - 3,0 cm in diameter. The brooms are sewed in fan-shape. 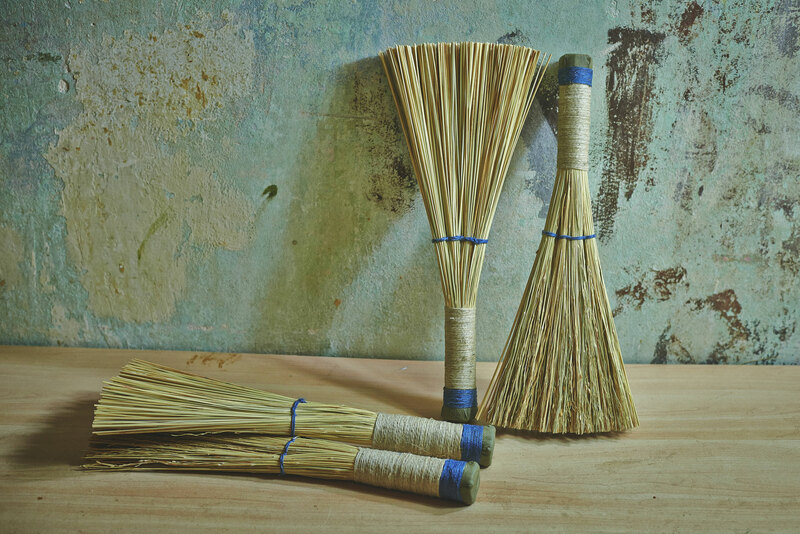 These broom work very well on Frame Drums, Cajon and Drum Set. They have a lighter sound than the CRISPY FAN model and the articulation is more bassy and damped. 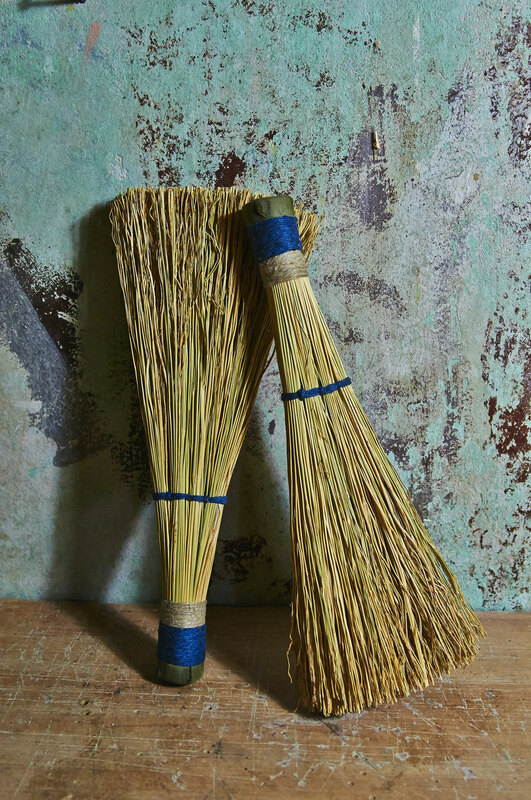 These brooms combine the advantages of both the STRAW and CRISPY FAN brooms. 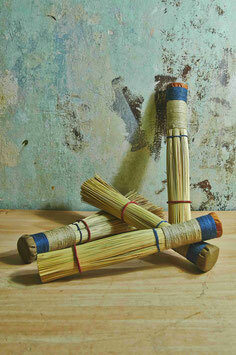 Very versatile percussion brooms which can be played on Frame Drums, Cajon and Drum Set. Standard length is 36 cm. Diameter between 2,5 and 3 cm. Fan shaped brooms designed to be played on Frame Drum and Cajon. Short handle and light weight. Available with flat (CRISP), curly (STRAW) or a combination of both fibres (CRISPY STRAW). The lenght is optimal to have a strong bass and clear snare sound. 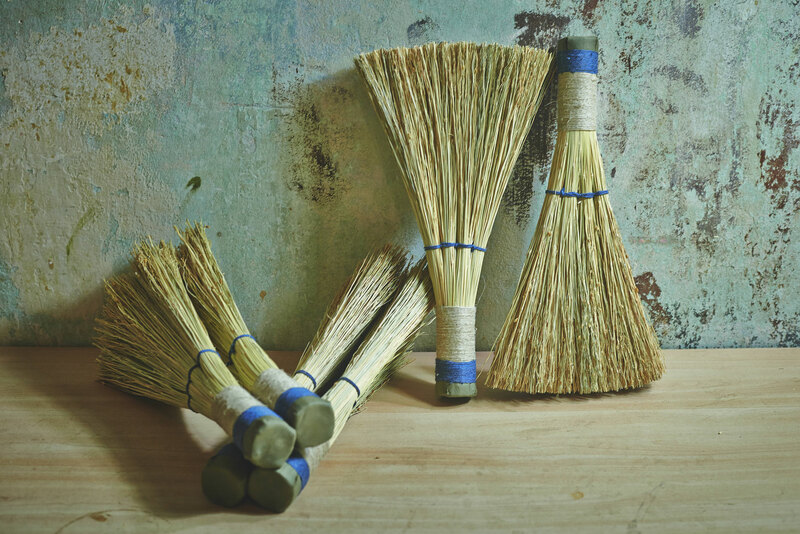 The price is for one pair of brooms. 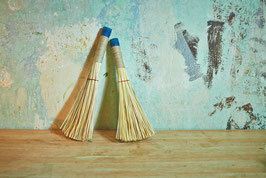 Big Percussion-Broom with soft and crispy sound. When I met Zohar Fresco at Tamburi Mundi '16 he inspired me to make this broom for him. It was designed to be played on non resonant surfaces like on your thighs. I also love their sound on dried bottle gourds. The brooms come with an adjustable O-ring. 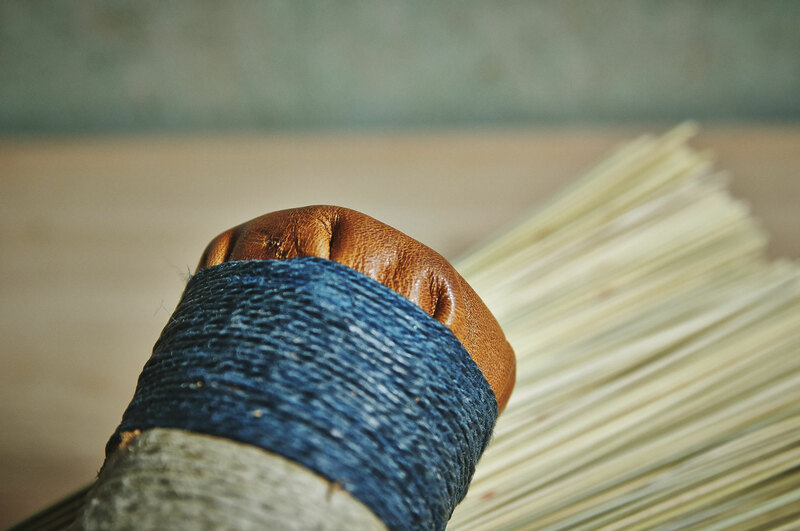 By pulling the ring downwards, the fibres will spread and the crispy sound of the broom will become more hearable. 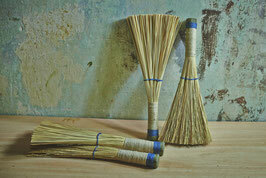 During the development of David's brooms I came across maroccan brooms. I quite like the proprietary sound of these fibres. 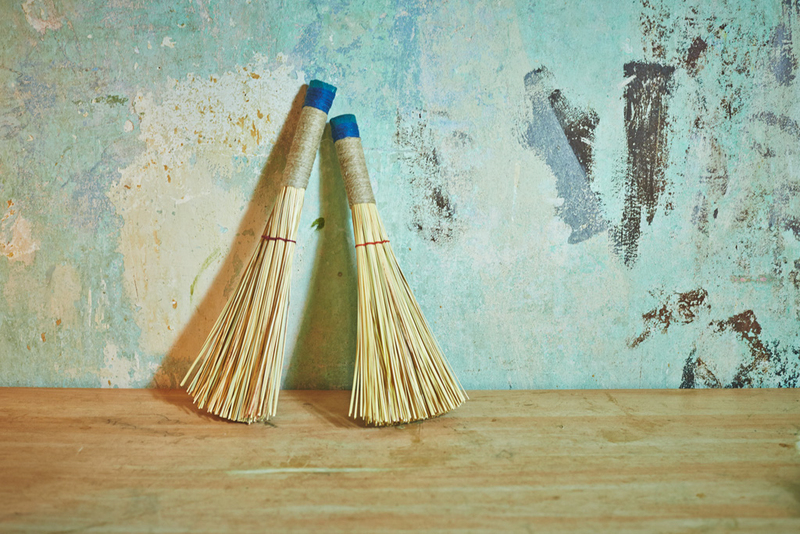 Compared to the other brooms, MAROC is a bit heavier and louder using the wiping technic. Standard lenght is around 38 cm. 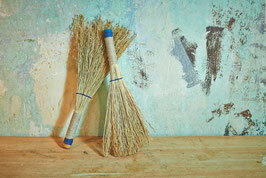 Cutting the fibres will remarkably change the sound of the broom. By shortening them, they will loose a lot of their proprietary sound, get a bit softer in the wiping technic, and gain a lot more bass sound. This Percussion Broom is sold out. For orders in advance please mail to info@rawpercussion.de. I will inform you as soon as they are available again.